-Allowing all diverse women in business or individuals seeking to start a business, an opportunity to learn and grow with professionals who are willing to share their personal business knowledge and experiences. -Affordable Workshops, Seminars and Conferences, which present training and solid tips to expand their business knowledge. -Providing Business Coaching and Mentorship opportunities by successful business owners and professionals, so you are able to align yourself towards a corporate platform. -To improve access to information that will assist in improving diverse woman owned businesses, which then will prepare you to navigate the world with profound solutions to have a successful business. -To provide specific marketing tools for your business including information logo design, financing, branding, incorporating, joint ventures, Social Media awareness and additional tools to elevate your business. -Business Resources and Solution connections for legal structure and setup. Mom of 4 and Veteran of New York Police Department as well as Medical Administrative Specialist in the United States Air Force, is an innovative forward thinker and creative and has stepped into greatness as a leader. Ms. Melendez has expanded her expertise from creating new and innovative dishes for celebrations or events as well as networking and relationship building and impeccable customer service skills. In her current role as a School Administrator, Ms. Melendez offers educational and careers strategies in order to plan a marketable future for themselves and their families as well as cultivating valuable lifetime friendships. As Founding Partner/CEO of Women Networking Worldwide, her mission is to assist and mentor as many women as possible in finding themselves as well as their life’s purpose in order to create amazing and powerful opportunities to secure a bright future. 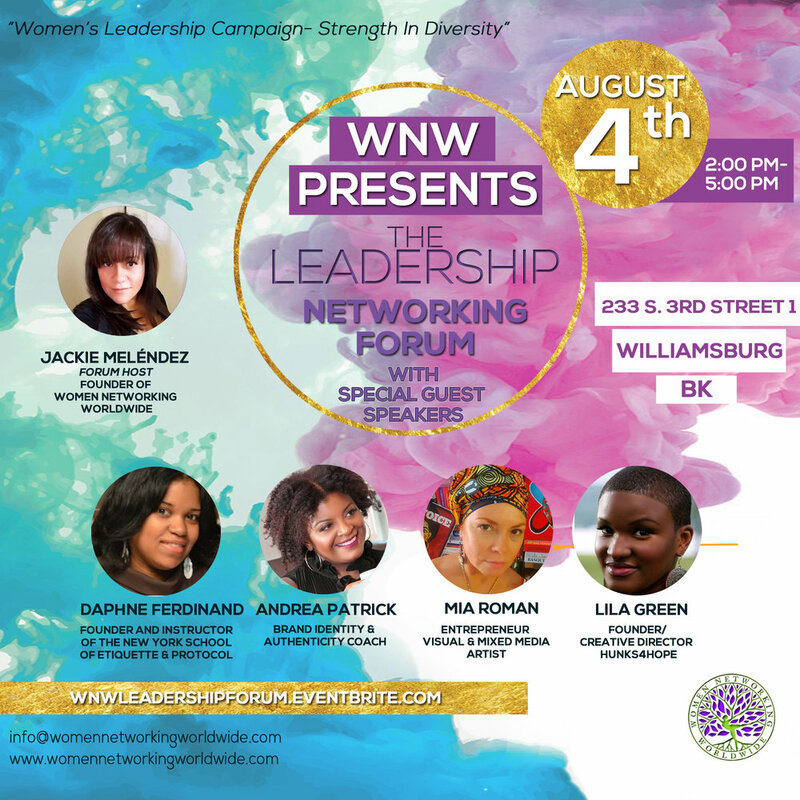 WNW is not just for networking opportunities but serves as a space for women to speak freely about their concerns personally and professionally where they are given the skills to get clear on what life has to offer them. Ms. Melendez, always a Brooklyn native still resides in Brooklyn with her four children, of who are her center and world. As an Entrepreneur, this is the time for you to step forward boldly and re-imagine how you can draw information on your personal business with like-minded business leaders. 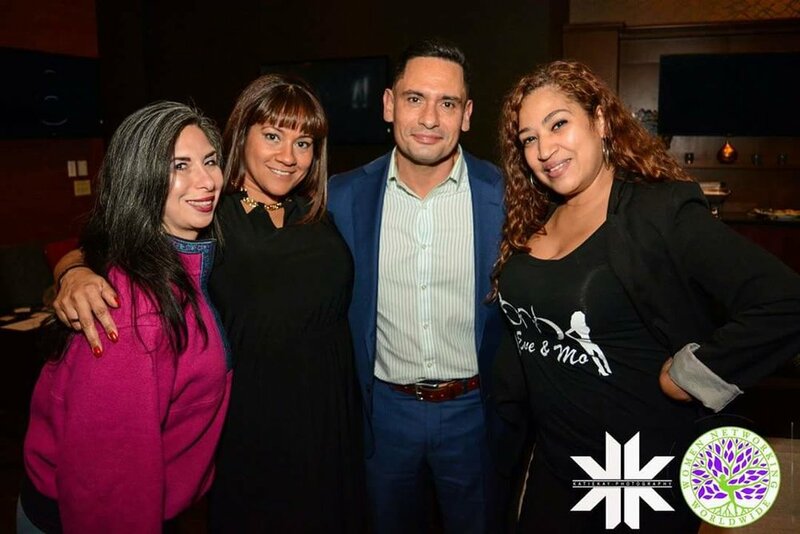 WNW Leadership Forum is fueled with successful woman who will be transparent with how they broke through fear and overcame many obstacles to structure a business that ultimately changed their lives. These individuals will help you and your business gain refreshing new ideas and a support system that will bring you closer to your dream. The Ultimate goal of WNW Leadership forum is to reinvigorate you and help you to leave with the JOY of also being a business leader and taking strides to build a legacy. We are always honored to collaborate, support and to be supported by fellow entrepreneurs. Flaco Coquito aka Skinny Coquito is a coconut liqueur, which is specially handcrafted using the finest earthly ingredients. Our Puerto Rican "Coquito" is tradition in a bottle, delicious, light and smooth. Flaco Coquito is 30 proof/15% alcohol, made with organic coconuts, 181 proof premium Caribbean rum, cane juice, with notes of pure Madagascan vanilla extract and cinnamon sticks from India. Our "Coquito" is preservative free, dairy-free, gluten-free, vegan and contains no artificial flavoring. Broadcast talkshow featuring Eve and Mo. 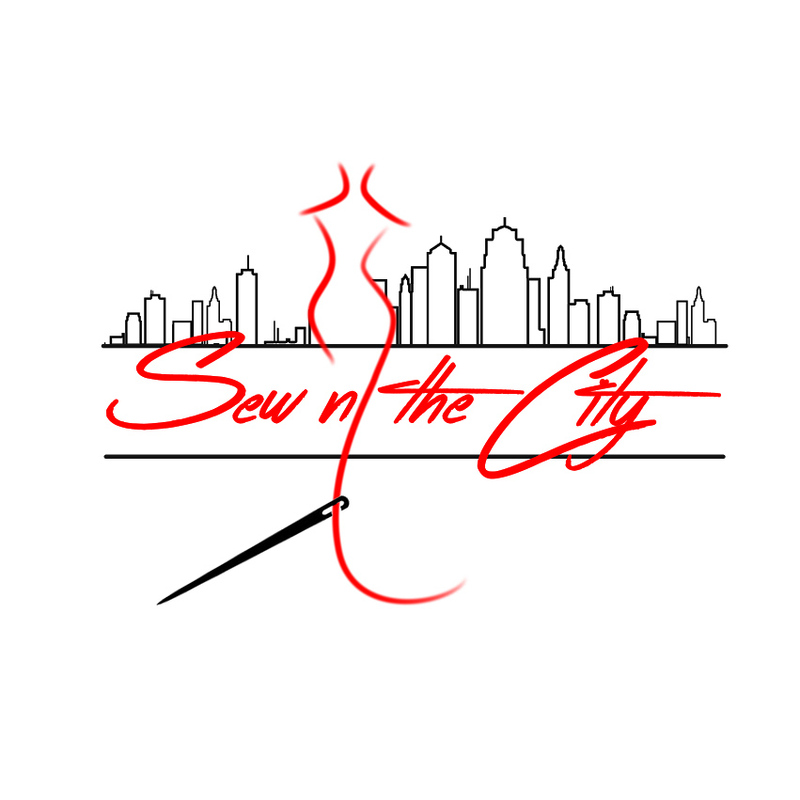 Sew N' The City are all inclusive sewing parties. Sewcializers will stitch a masterpiece while sipping and having a time. No sewing experience necessary. hometomysoul, LLC is a 100% soy wax candle company that's meant to bring the light back into your world. The essence of light is to illuminate dark places, but candles are special because they create a certain mood. Hence, when the ambience in your home compliments your energy, it can set a romantic tone, a creative vibe, and a healing atmosphere. Currently, we offer 3 scents: jasmine, lavender, and rose that come in various mason jar sizes and colors. Allow the aroma of these handcrafted candles to soothe your mind and enhance the mood in your home or creative space!